Tips for Finding Government Writing Jobs in the U.S. Many communicators believe it is difficult to find government writing jobs in the United States. As writers, we must have polished skills, rock solid experience, and super-human endurance to win this privilege. Because of this, freelance writers and communicators are missing out on a great career opportunity. Federal government branches aren’t the only ones hiring. As a result of outsourcing, there are many jobs offered by city and state branches of government. Government communications must incorporate plain language together with solid research to create consistent and accurate messages. 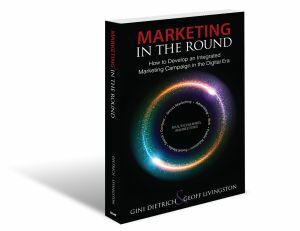 For this reason, great writing and PR skills come in handy for those looking for the chance to get their foot in the door and build a solid career in this niche. Those who know how to research, edit, and communicate complex ideas to various audiences and turn critiques into tips become desired employees for government agencies. A strong background in communications and superb writing and editing skills are essential elements for many government writing jobs. Or perhaps they mistakenly believe they must relocate to the Washington, D.C. area as a condition for employment. Government branches are everywhere, including cities, states, and other municipalities. Once you register yourself as a contractor, you can start tracking opportunities to find where you might fit. After you win an employment contract from a government agency, you need to educate yourself about what government writers and editors do. According to the United States Office of Personnel Management, these specialists research, analyze, refine data, and present factual information to a variety of fields. Well, this sounds like an easy job for those of us who write for the PR industry, doesn’t it? 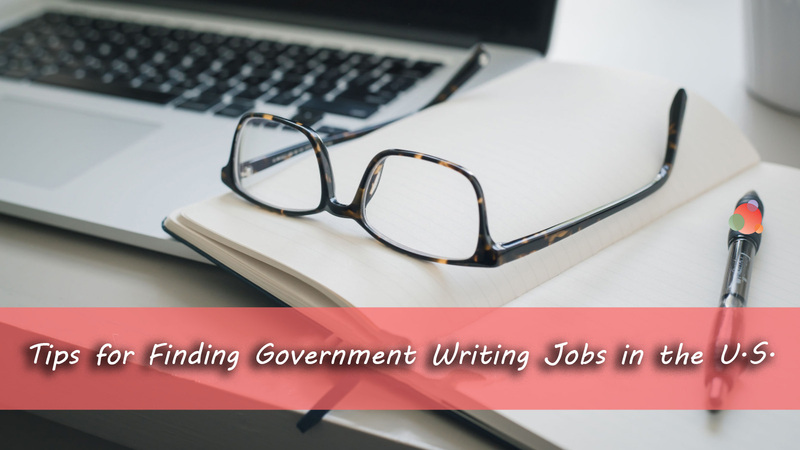 Positions focusing on writing for government agencies include both general writers and technical writers. Writers/editors (GS-1082) create training materials, articles, reports, newsletters, brochures; write essays, speeches, scripts, and news releases. In other words, this position involves editing and writing on plenty of topics. Technical writers/editors (GS-1083) requires substantial knowledge of particular fields (natural or social sciences, law, engineering, etc.) and use it for deeper research or interviews with other specialists to create or edit technical documents in their fields. Working as a government writer means communicating information to provide results of investigations, explain laws, report on agency plans and activities, and announce government regulations. You will create valuable and consistent content for government publications, educational institutions, and check for plagiarism. The process of qualifying for any government agency position is demanding and time-consuming. But, it is worth the effort if you want to grow as a writer, keep your skills fresh, and add a variety of worthwhile projects to your portfolio. DUNS Number. A nine-digit number required for all contractors. It identifies the location of their business. Register for free at Dun & Bradstreet DUNS Request Service. System for Award Management (SAM). This is a database of vendors doing business with the government. To complete the SAM registration, you need a registered business name and license number. You also need a DUNS, TIN, or EIN number, and your bank account info. When asked for SIC codes; for writers and editors, the codes are 7383 and 7389. NAICS Codes for Writers. Codes classifying businesses according to their economic sector, industry, and location. For writers and editors, NAICS codes are 561410 (document preparation services) and 711510 (independent writing professionals). Once registered, PR writers can look for business opportunities and see which agencies might need their services. The whole bidding process for government writing jobs can be long and overwhelming. It may seem impossible to win a contract from a government agency due to strong security rules and policies. However, many writers break into this niche and succeed. Many government agencies frequently search for and reach out to qualified writers on their own. 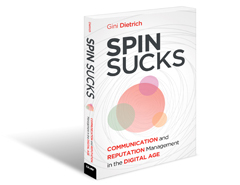 As such, communications professionals must strengthen and maintain their online reputation. LinkedIn profiles. Government agencies look for outsourcers on LinkedIn, so your profile should be at an expert level. Add skills, be clear and concise about your writing experience, and add keywords an employer would use to find you. Website. Once an employer finds you, they will dig deeper. Your website is the best portfolio. It offers a chance to impress potential employers with samples, clips, testimonials, lists of awards, etc. Be sure to showcase your best work. Brand. Those with registered business names and state license numbers are more likely to win a government contract. Even if your brand is ‘John Doe PR Writer’, you are perceived as more legitimate than authors with no brand or business name. Remember, if they hire you, it means your expertise matters to them. So, don’t be afraid to ask questions or make suggestions about what your writing assignment needs to accomplish. And when the contract ends, you should continue to nurture your relationship with the government agency. Most have deals with other agencies, and they may be able to recommend you to another branch or office in need of PR, writing, or editing services. Have you worked as a government contractor? What tips do you have for those looking to do the same? After 5+ years of experience in content creation and ghostwriting, Lesley continues polishing her writing skills by contributing articles to many publications on digital marketing, writing, and lifestyle. She is a blogger at PlagiarismCheck.org, online tutor, and coffee addict.